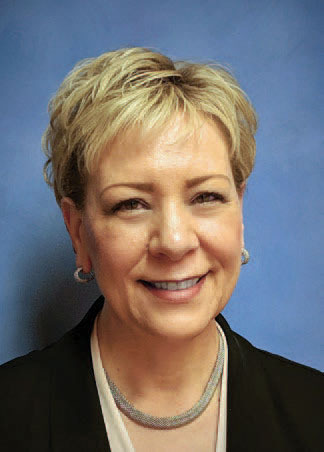 Hi, I’m Debi Wilson, Acting General Manager of Lane Electric Cooperative. Every month, I will report on some of the issues facing Lane Electric and share important news and updates with you, our members. Sometimes, I may write about poles, lines and wires, our power supply, service interruptions, emergency preparedness, or rate changes. Other times, it might be about member meetings and community service. And sometimes, it’s simply to keep you informed about what goes on at Lane Electric, your cooperative. Be sure to check out “Recent Stories from Ruralite” (to the left) for other information you might be interested in, too. The snowstorm of February 2019 is one for the record books. In the past several decades, never have we seen so much damage to our service territory and the widespread outages that affected so many of our members for up to two weeks. It was also a historic event due to the human capital we recruited to get the job done. You may have heard this already, but I think it bears repeating: A total of 111 linemen—95 more than our usual crew of 16—worked on behalf of Lane Electric to restore your power as quickly and safely as possible. We are grateful for our rural electric cooperative family and other generous utilities throughout the state and across state lines who provided support. housing for the crews; and distill information for member communications. From the accounting department to the lineworkers, it was an all-hands-on-deck operation. While crews from other utilities have been sent home, Lane Electric crews continue restoration work in the aftermath of the storm. This includes addressing hazard trees and branches that were partially damaged in the storm and could now fall into power lines during inclement weather. They also will be retrieving downed wires and broken equipment that was covered by snow or fallen trees. The clean-up phase will last for several months. We may need to again bring in extra crews to get it all accomplished. We heard many questions and concerns expressed during the outage: Why can’t you get more crews? Why can’t we get more specific information about restoration times? Why don’t you bury the lines so this doesn’t happen again? I encourage you to read pages 4-5 and 8 for answers to these questions and to also attend our district meetings in May to hear more. See page 25 for district meeting dates and locations. Finally, I would like to thank you, our members, for your patience and endurance during what we know was a difficult two weeks. As the dust settles, we all—as a utility and as individuals—are thinking about how to prepare for future major events. We hope you are doing the same. Whether it’s another winter storm or an earthquake, I truly believe it is not a question of if but when. At our district meetings and in future issues of Ruralite, we will share information about disaster preparedness and encourage you to take note. I would like to introduce myself and let you know how pleased I am to be serving you as acting general manager of Lane Electric Cooperative. While I have only been in this role for one month, I have been part of the Lane Electric team for 20 years, with 10 years in management. I am well-acquainted with our systems, have industry knowledge, and am familiar with many of our members and the issues that are important to you. Many of you may be wondering who will be Matt Michel’s permanent successor. That decision lies in the hands of our board of directors. They are following the general manager search & selection policy, and there will be updates as the process progresses. In the meantime, I am laser-focused on keeping the organization running smoothly. I am grateful for a committed team of employees who are working alongside me to make sure you have safe and reliable power delivered to your homes and businesses. And when outages do occur, I assure you that we are committed to restoring power as quickly and safely as possible. District Meetings. Stay tuned for exact dates and locations for the meeting in your area this May. See page 8 inside this issue for details on the directors whose terms expire and how to file to run for a seat on the board. Broadband Feasibility and Education. We have contracted with National Rural Telecommunications Cooperative to do a broadband feasibility study for our service area. Our board and employees will also receive education from NRTC about broadband—an entirely different industry than the electric utility that comes with its own terminology and systems. By pursuing this research, we are not guaranteeing we will be able to deploy broadband. We are doing our due diligence in response to member inquiries about the possibility, and we will keep you updated. Communications Preference Survey. As times and technology have evolved, we want to know from you how you would prefer to hear important news from us, such as outage notifications and updates. Expect a survey on this topic in the coming months. On behalf of all the employees, from our linemen out in the field to our member service representatives in the office, we are moving forward in the cooperative way with an unending commitment to community and to you—our members. If I haven’t met you already, I look forward to doing so very soon. Thank you for your membership with Lane Electric Cooperative. The Lane Electric Cooperative Board of Directors, on behalf of the cooperative membership, is committed to keeping your co-op financially sound while making careful decisions about how members share that responsibility through rates. Effective for bills generated this month, the board decided to decrease the kilowatt-hour rate for residential rate class members and increase the monthly basic charge for all rate classes. Lane Electric’s 2019 budget anticipates more construction, including several undergrounding projects, to improve reliability for decades to come. We borrow to finance these long-term improvements so each generation of members pays a fair share of the cost and benefit. The change to the basic charge across all rate classes reflects all current members’ share of the improvements. Predictability is why the residential kilowatt-hour rate is decreasing. A lower kWh rate for the first tier of use helps stabilize your bill during cold spells when you use more electricity to stay warm. Also, a lower rate helps Lane Electric collect only the revenue it needs to meet operational goals. The cost to deliver that energy to you across the miles is more appropriately collected in the basic charge that stays the same each month regardless of how much energy you use. You can read more about rate structures and this rate change on pages 28-29 of this month’s issue. Meeting operational needs with affordable rate structures continues to be a focus of the board of directors. The board, and all Lane Electric employees, understand the economic challenges that members face. We continue to offer energy-efficiency programs and have several ways to help you manage paying your monthly bill. If you would like to learn more about our payment options, including Pre-Pay, please visit our website or call us at 541-484-1151. 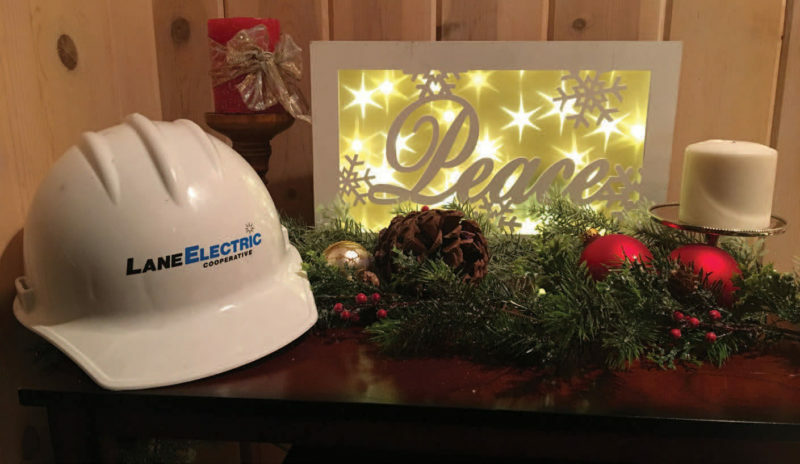 These past few months, the Lane Electric Board of Directors and staff have been as busy as Santa’s elves building a responsible budget for 2019. The board is evaluating the proposed budget and a potential rate increase, if necessary, to support the infrastructure improvements necessary for keeping your electricity reliable. We will keep you informed as soon as the budget is adopted and any rate adjustments are made. We expect members to reduce their electric use next year by almost 1 million kilowatt-hours. The proposed 2019 budget’s total expenses are slightly higher than the 2018 budget’s total expenses. Next year looks to be the year for planning. Strategic planning, a substation communications feasibility plan and a disaster recovery plan are all in the works. On behalf of Lane Electric Cooperative Board of Directors and employees, we wish you a peaceful and joyous holiday season. May you cherish time with friends and family! What could you do in 10 minutes? Sweep the floor? Complete Lane Electric’s member satisfaction and energy usage survey? We hope you will choose the latter so we can learn how we are doing and how to best plan for your future energy needs and preferences. Recently, a small, randomly selected portion of our residential members received a member satisfaction and energy usage survey from our partner at PNGC Power. If you were one of the households who received the survey, we ask that you please take the time—it shouldn’t take more than 10 minutes—to thoughtfully complete and return it in the postage-paid envelope by October 20. Your answers play an important role in shaping our power resource planning and learning how we can best serve you, our members. Results from the last survey in 2016 enlightened us about our areas for improvement, including offering ways to help you save money on your electric bill and providing updated information about power outages on our website and social media. We’ve made those improvements, and look forward to learning what we can do next to improve your satisfaction. Responding to the survey is one way you can contribute to the second cooperative principle: Democratic Member Control. As a democratic organization controlled by our members, that means we are focused on always learning what our member-customers want from their co-op. Data collected from this survey will help us do just that. Survey responses will remain anonymous. If you have any questions, our lines are always open. Feel free to call us at 541-484-1151, or email comment.question@laneelectric.com. Have you ever asked yourself how Lane Electric knows how much power it needs to buy? I know it may not be the most burning question on your mind, but it can be a fun and informative question to ask. For instance, would Lane Electric have enough power if every- one reading this turned on all their lights, dishwashers, home heating and clothes dryers at the same time? The answer is yes! In the article “A Survey in Your Future“, you can learn more about this survey and how it plays an important role in our power resource planning. If you receive a survey, please take the time to thoughtfully complete it and return it in the postage-paid envelope. Thank you in advance for being a part of your co-op’s planning. Lane Electric Cooperative has been in business for nearly 80 years. You experience the “electric” part every day. How we go about the business of safely providing you reliable electricity is the “cooperative” part. What does it mean to be a cooperative business? A cooperative business generally forms to meet a local need. For- profit businesses only offer a service or good because it’s profitable. Sometimes, consumers must collaborate to acquire a good or service by creating a member-based cooperative. Lane Electric formed in 1939 to bring electricity to the upper McKenzie River and Veneta areas after no investor-owned utility would do so. It simply wasn’t profitable enough, and it still isn’t. A cooperative business is nonprofit. When it comes to this tax-exempt status under Section 501(c)(12) of the Internal Revenue Code, a cooperative must receive 85 percent or more of its income from members. The sole purpose of that member income must be to meet annual losses and expenses. In other words, Lane Electric doesn’t chase profits to grow the business. We grow the business for members to have affordable access to electricity in rural Lane County. A cooperative business is democratically controlled. Periodic member meetings occur to elect directors to the board of directors on a one-member, one-vote basis. Sustaining democratic governance requires a good functioning relationship between the board of directors and the general manager. To maintain checks and balances on certain democratic functions, members sometimes participate in co-op committees. Lane Electric’s Nominating Committee, and Elections & Credentials Committee are two examples of members ensuring our democratic processes serve the membership. Please contact me about participating on a member committee. A cooperative business operates at cost. A cooperative cannot operate for a profit or below cost. There’s a sweet spot between those two extremes called operating “at cost.” At the end of the fiscal year, excess operating net revenues are allocated back to members according to the amount of electricity used by each member. As a cooperative member, every year you are credited an allocation of any excess net revenues—capital credits—to ensure the co-op hits that sweet spot. Finally, a cooperative is a grassroots organization. It’s not “the government.” It’s all of you, together. It’s consumers collaborating to plan for and meet local needs. That sounds like simply being neighborly. A cooperative business takes being neighborly to the next level. The Seven Cooperative Principles explain the ideals for why a cooperative business organization exists. Put another way: The Seven Cooperative Principles are like our nation’s Declaration of Independence that we celebrate every July. For example, in May, Lane Electric conducted its annual election to the board of directors. Members completed their ballots and re-elected incumbents Chris Seubert from the Central District and Jerry Shorey from the Oakridge District. That is cooperative principle No. 2 in action: Democratic Member Control. You are a member of a local democratic organization controlled by its members. Every member has an equal vote—one member, one vote. You elect representatives from the membership to set co-op policies and make decisions. Your representatives are accountable to the membership for their responsibilities to the co-op on behalf of the membership. Local control through a democratic process. That sounds “self-evident,” doesn’t it? That sounds like Lane Electric is “deriving their just powers from the consent of the governed …” Read on below and think about how great it is to be a part of a local co-op that preserves your right to have a democratic voice in your electric service. There have been several developments on spilling more water for fish in the Columbia and Snake rivers and the impact that has on your power bill. In May, the Bonneville Power Administration announced the state of Oregon’s court-ordered spill experiment cost $38.6 million in lost hydroelectric generation. After BPA’s spending reductions in fish and wildlife costs and other adjustments, BPA whittled the cost down to $10.2 million. The cost to Lane Electric is nearly $52,000. BPA will finalize the amount in late June. We knew an increase was coming—see the September 2017 Ruralite back page—and we budgeted for it. That in turn, had an impact on the April rate increase. In addition to the added power cost, the state of Oregon’s lawsuit added an estimated 1,001,743 more metric tons of CO2 into the Pacific Northwest atmosphere. This is equivalent to putting 217,770 more cars on the road for a year! According to the Oregon Global Warming Commission, transportation emissions were already a primary driver of Oregon’s increasing CO2 emissions. This experiment made Oregon’s carbon profile worse without any assurance fish would benefit. Meanwhile, back in Washington, D.C., the House of Representatives passed H.R. 3144, a bipartisan bill that would call a “timeout” on the spill experiment. During the House floor debate, Oregon Rep. Kurt Schrader (D-Canby) spoke eloquently in support of the common-sense bill. The bill is now in the Senate and faces a long road, but raising the issue for open discussion is worth the effort. Oregon’s 18 electric co-ops will continue advocating in Congress and Salem for a coherent, common-sense energy policy in Oregon that balances the complex and vital issues of carbon, affordable power and fish passage mitigation. You have a voice on this issue through Lane Electric. Be a part of a grassroots effort by joining ORECA Grassroots on our website (bottom-right at www.LaneElectric.com). You will receive updates and calls to action. Finally, thank you for coming out to have dinner with us in May at one of the co-op’s five district meetings. All of us at Lane Electric—the board and employees—enjoy being your host and sharing time with you. From Crow to Lowell to Westfir to Dorena and Blue River, we gathered together to be a part of a grassroots tradition. Take another look at the small communities I just listed—each with their own story, yet all connected in the shared co-op community of Lane Electric. The district meetings are fun, social and informative, so make it a habit to attend every year. We look forward to seeing you.